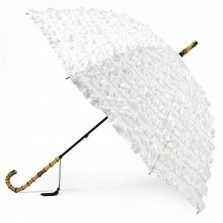 Treat yourself to a fun and stylish white oriental umbrella! These beautiful white pagoda umbrellas feature a luxurious 16 panel, 84 cm wide canopy which looks a million dollars and provides plenty of cover in the rain. 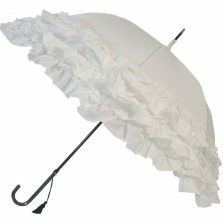 This beautiful white oriental pagoda umbrella makes a great gift for you or a loved one and is also suitable for special events such as weddings and more! 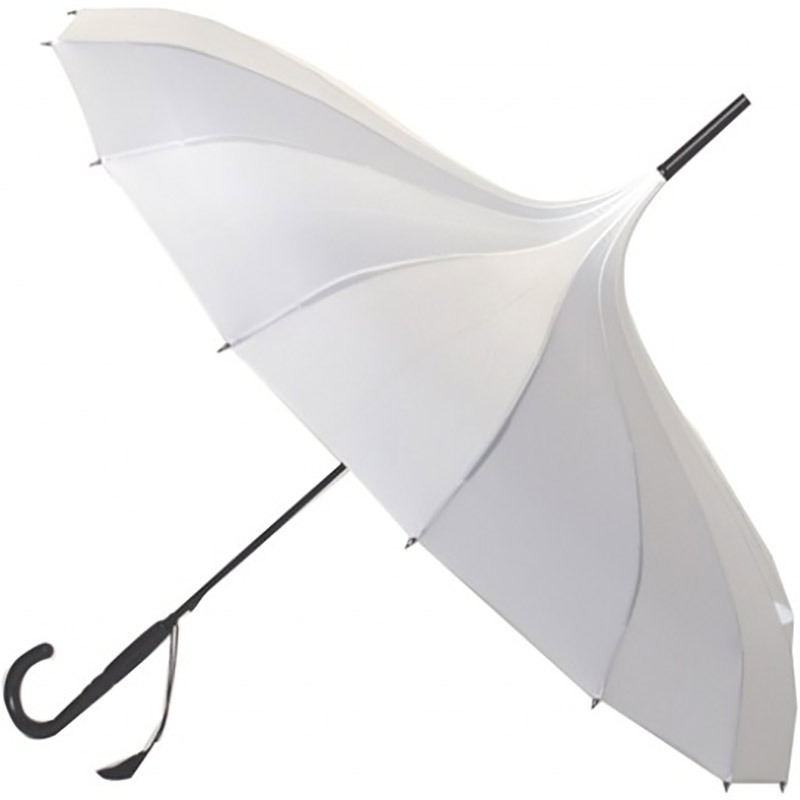 With that ample white canopy and distinctive, slightly exotic shape, this oriental umbrella makes an elegant parasol. 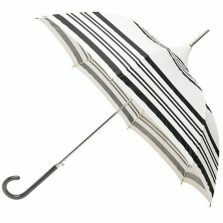 This beautiful brolly also makes the perfect travel companion, keeping you both stylish and dry on a dark and dreary day! A white pagoda shaped umbrella is different enough to turn a few heads, while still superbly practical. Dainty, distinctive with a stylish, black moulded crook handle and matching shaft tip. This oriental umbrella features a strong black steel shaft and a superb 16 spoke frame with contrasting rounded steel pewter rib tips. The classy tassel on the handle really completes this elegant brolly with a little flourish. 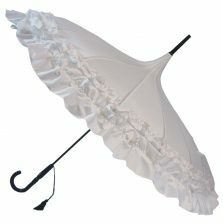 The white pagoda oriental umbrella is perfect for weddings and other special occasions. Try not to steal the show! Not recommended for extremely grubby pastimes like coal mining or potholing. Overall length is 87 cm. PLEASE NOTE: CURRENT IMAGE SHOWS BLACK HANDLE. THIS HAS NOW BEEN UPDATED TO A WHITE HANDLE. IMAGE WILL BE REPLACED AS SOON AS POSSIBLE.